Wireless Madness offers a price match promise to help our customers get the best deal possible at all times and all the while retain their custom. We aim to be as competitively priced as possible by scanning our competitiors prices. If you see an identical product elsewhere (other than our own promotions across our sites) including delivery, we will endeavour to match the price! In order to take advantage of this offer you must show us where it is cheaper. Our price match applies only to UK Internet retailers and stores that have the identical product IN STOCK for immediate same day despatch or collection in store. Prices are compared not just on the product price but it also includes the cost of delivery. Price match critera only applies before an order is placed. Once an order has been placed we cannot price match retrospectively. For more details we request you speak to one our sales team staff on 01772 200 888. Terms and Conditions: The price promise policy is done in good faith and can be withdrawn at any time without notice. A price match cannot be used in conjunction with other offers running on wirelessmadness.com. There maybe the rare case we cannot match a price and as such we are not able to guarantee price matching. The wirelessmadness.com Price Match Promise is subject to change and can be withdrawn at any time and is only available when the above criteria’s are met. This item is in stock and available to buy now! 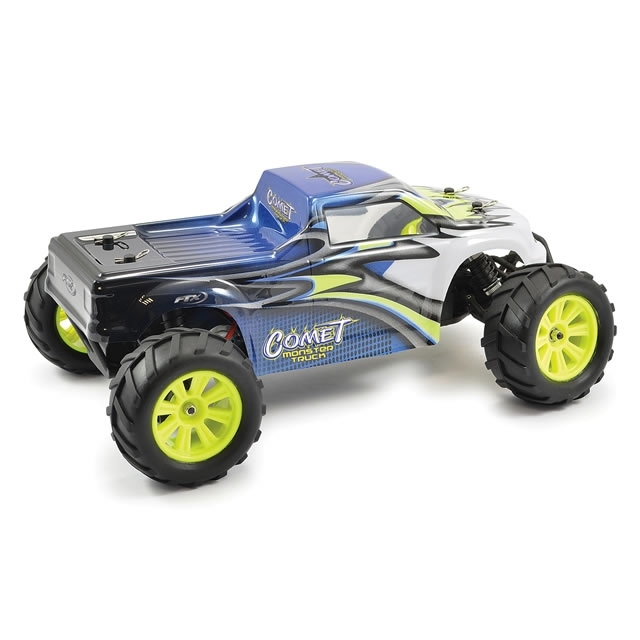 Small, yet perfectly formed the new Comet 1:12 range from FTX is the perfect introduction to the fun and excitement of radio controlled off-road cars. Limited budgets and size restrictions will become an afterthought when you review the Comet range. In fact your biggest challenge will be which version to choose from the four different editions available. 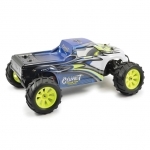 Centred on a tried and tested industry standard 2WD chassis platform, the Comet is a hobby grade design at an entry-level price point. 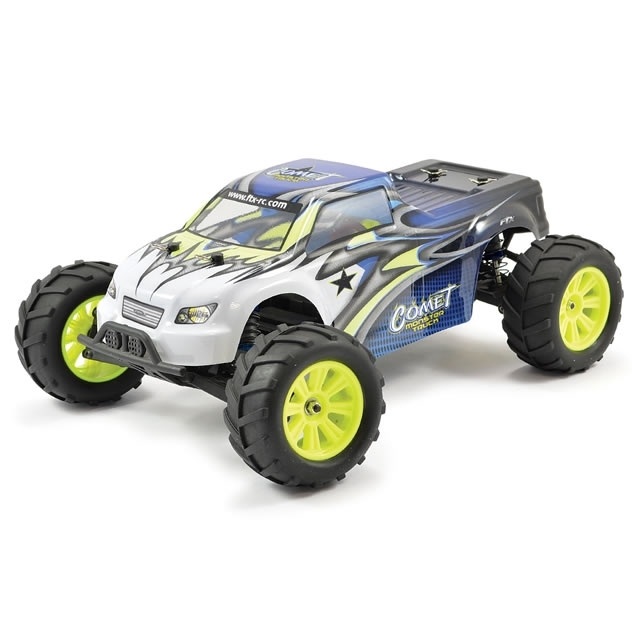 Features such as oil filled shock absorbers, ball bearings, double wishbone suspension, bevel geared differential, 3-gear transmission and moulded tub chassis are all inspired by high performance race cars to help provide you with the perfect introduction to RC cars. The tub chassis design can accommodate the use of either a rear motor or mid-motor set-up depending on the vehicle. 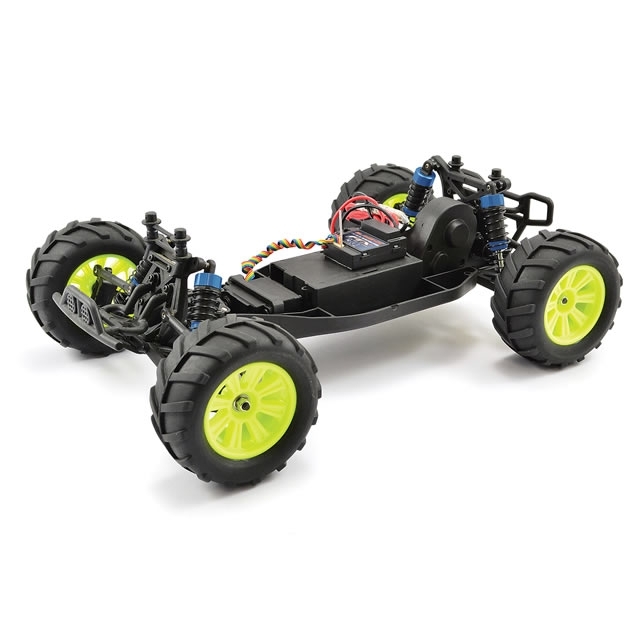 The Truggy, Monster Truck and Desert Buggy all coming factory assembled in mid-motor format, while the buggy arrives as a traditional rear motor set-up. End users can convert the motor placement if they wish at a later date to further expand performance possibilities. Factory fitted 2.4Ghz radio system and 2-in-1 speed control provide easy set-up and drivability from the box once the Li-Ion battery has been charged. Want to upgrade? 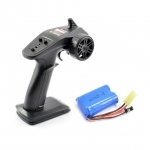 The simple moulded tub chassis design can accommodate standard size steering servos and mini brushless systems easily, providing your Comet with a new injection of performance should you wish to go for it.